Wristwatches were earlier worn only for the purpose of telling the time. But gradually it has become more than a time telling gadget, as it has been replaced by smart watches. But still, those classy watches are being worn by millions of people. Not only as a fashion statement, but as a status symbol too. 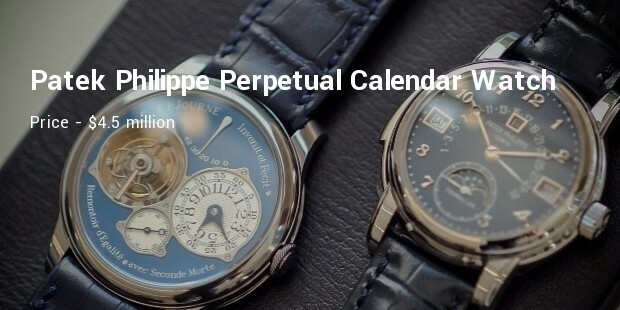 These time pieces could be priced between a few hundred dollars to $26 millions. Such watches are even more expensive than an ordinary house or a classy car. There are a wide range of such brilliant watches in market and surprisingly there are even more costumers who are very interested to buy the antique time pieces. They are willingly investing for them. So here we have enlisted most expensive auctioned watches. Chopard 210 karat is a result of brilliantly crafted masterpiece. 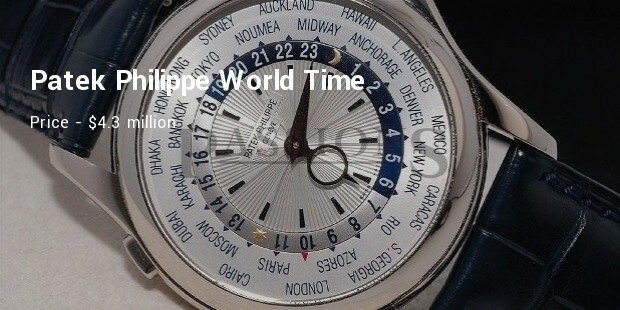 It is the most expensive watch in the world. 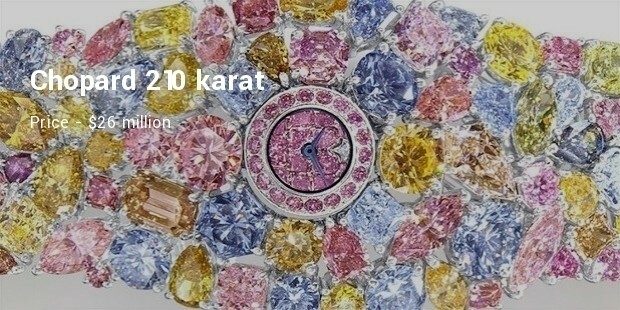 It is embellished with 201 karats of coloured diamonds, so it looks more like a spectacular bracelet. This is a combination of a fabulous jewellery and a timepiece. 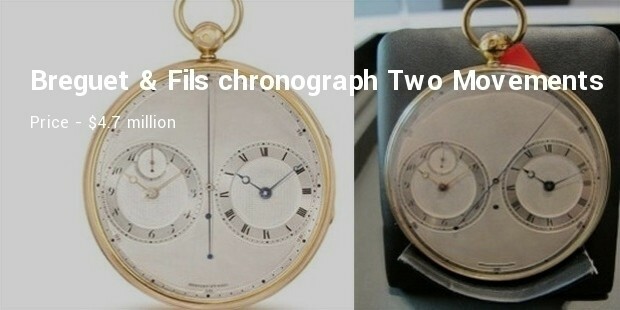 This antique watch comes second in the list of most expensive watches in world. 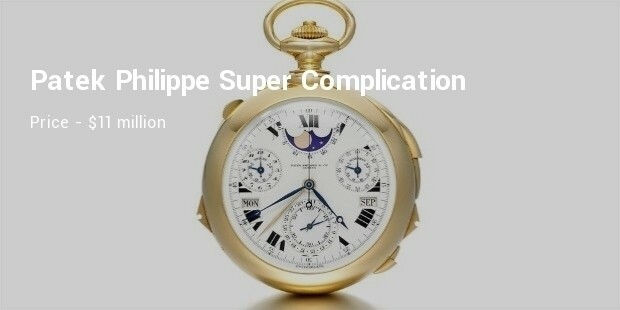 This is the most complicated watch ever created and one of the most expensive watch ever sold at an auction. 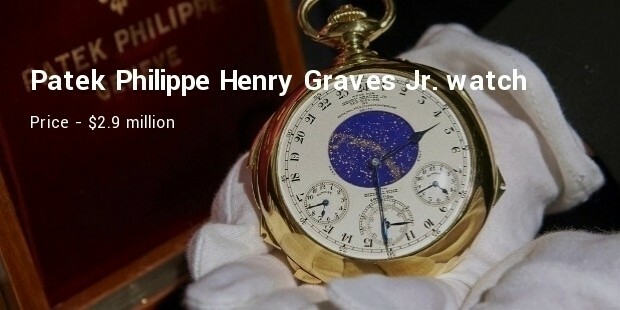 It was crafted by Patel Philippe for banker Henry Graves in 1993. It is a 18-karat gold pocket watch. 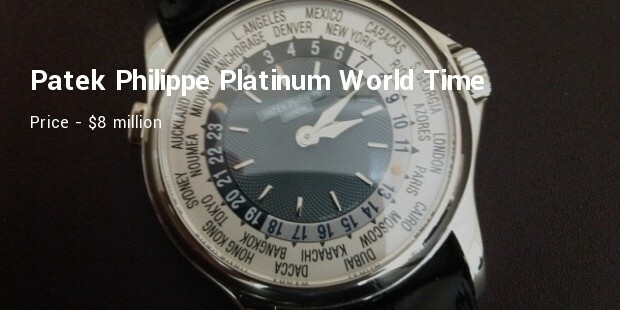 This extravagant watch was also created by Patek Philippe. It was sold at auction in 2002 for over $4 million. 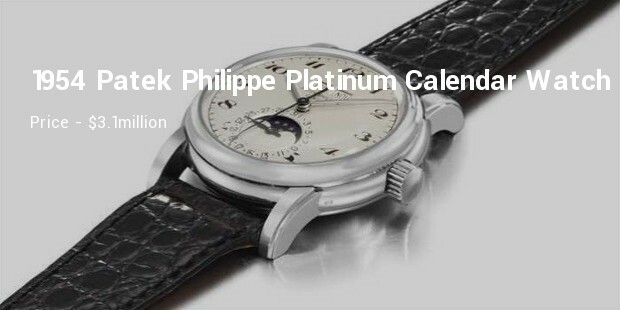 It was the single piece which was created and then it was sold in auction as the most expensive wristwatch in the world at that time. It has an enthralling design. Now it is again available with wide range of finishes of gold and platinum. 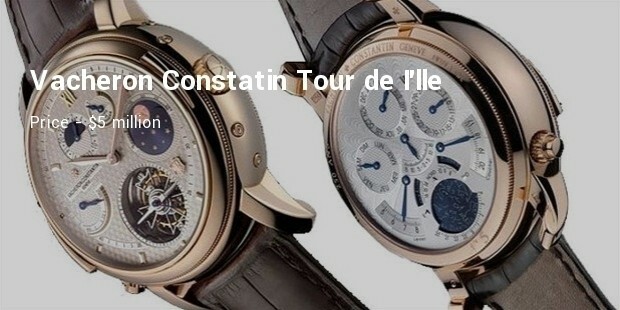 The Tour de I’lle is a very complicated wrist watch. 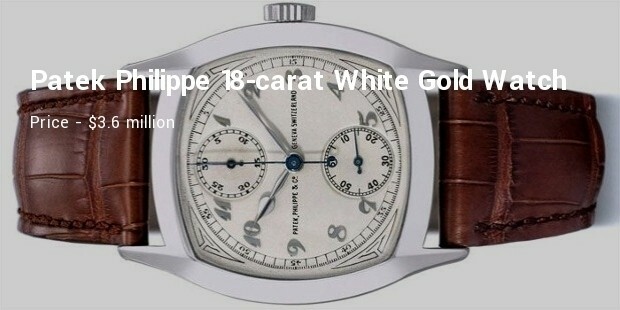 It is Designed by the Swiss manufacturer Vacheron Constantin. This beautiful watch has a stupendous blue sapphire non-reflective glass. It has two sides, and that is what makes it unique. This is definitely worth being traded for. So, now you can see what makes these watches different and special from the ordinary ones. And why watch’s price is soaring higher than a rocket ship sent to space. These are all brilliant, not only in functionality, but also in their designs. All these are wondrous result of extraordinary craftmanship. The beautifully encrusted diamonds, there rarity and history makes them stand out among several others.